Although the Gulf Shores condo market is in demand from buyers looking for an investment property or second home, there is a lot of inventory on the books. Selling a home or condo can be very frustrating especially when you see that your property isn’t attracting any offers or not being shown that often. Creatively marketing your Gulf Shores condo is vital but coupled with properly pricing your unit is the key to a successful sale. There are agents out there that will inflate the listing price to just get the listing, which makes the seller happy (at first). This doesn’t do anyone any good. The property will more than likely sit on the market and go stale. When I walk into a potential listing, my mindset is to do my job and sell the condo. Just putting a sign in the window doesn’t cut it! Effective marketing is getting your listing in front of the most buyers possible. That being said, the vast majority of real estate agents only rely on their MLS listing to get the word out about your condo that’s for sale. There are so many other avenues to market your condo but most will not take the extra steps for maximum exposure. 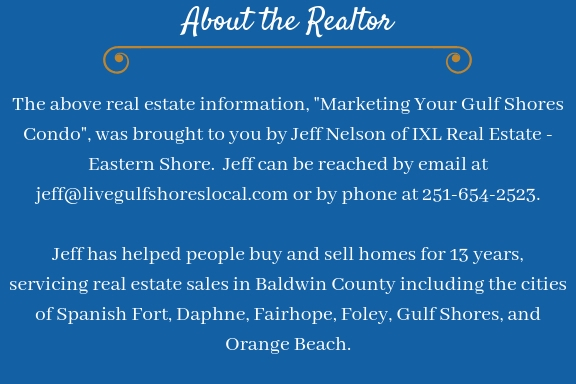 Below is a list of everywhere I market my clients homes and condos for sale in Gulf Shores and all of Baldwin County. One of strong points is that I’m internet savvy and I create a dominant online presence for my clients. 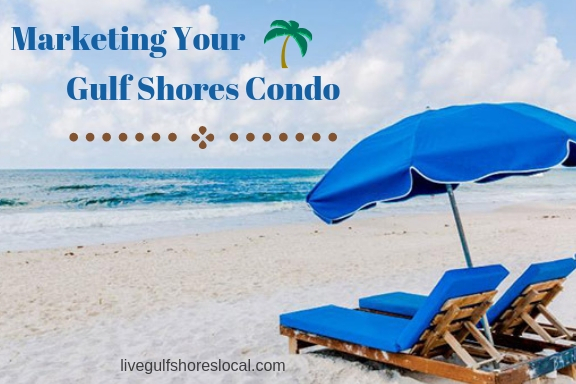 If you list your Gulf Shores condo with me, I’ll exhaust all possibilities for marketing your listing and your condo will be seen. Live Gulf Shores Local is not only the site you’re on right now but is one of the largest local real estate websites in the area. It has over 1,200 pages of articles, blog posts, and real estate data. The site benefits from having hundreds of pages on the first page of Google, bringing thousands of potential buyers to see your condo for sale. Baldwin Home Search is my company’s real estate search portal. IXL Real Estate is one of the fastest growing real estate companies in Baldwin Country and Mobile. The broker and I spend a ton of time brainstorming and learning new technology to enhance our clients listings. Realtor.com is the #1 most visited real estate website in the world. Because it’s partnered with just about every MLS company in the nation, every listing will be displayed here. However, what makes using Realtor.com different for me is that my listings are “enhanced” which allows me to upload additional pictures and a more lengthy descriptions. Real Bird is an effective marketing platform that offers large pictures, video, a Google interactive map, and slideshow for my listings. Real Bird is indexed very well with search engines, showing up for local real estate searches. Zillow has a strong presence for most general real estate searches. Just like with Realtor.com, I enhance my listings giving my clients more exposure through multiple pictures and longer descriptions. Trulia is another home search platform that allows home buyers to search for homes, trends, and neighborhood information. They also have a great blog feature that I use to give my clients Gulf Shores condo more exposure. ActiveRain is a blogging site for real estate professionals, however, Google loves ActiveRain so posts generally rank very well. When I get a listing, I’ll post here giving a lot of description, pictures, and links. This is a great site for adding additional exposure for my clients. Real Estate Shows is a fantastic video platform to showoff listings online. It creates a virtual tour that can be embedded into the MLS, my blogs, Realtor.com, and Youtube. Youtube needs no introduction and any Realtor who is not using it to promote their seller’s homes are missing the boat. With Facebook, I’m able to not only market listings to friends and family but I also have a business Facebook page that only talks about real estate. If that wasn’t enough, I manage 4 other business Facebook accounts to give added attention to my listings. Here’s what my Facebook Real Estate Page looks like. LinkIn is another great social media platform that I use to promote listings. The folks who mainly use LinkIn do so for business so it’s a great tool for marketing a Gulf Shores condo. Here’s my LinkIn Page. Hotpads is a popular site that has been around for a long time. They use a map based search promoting apartments, home and condo sales, and rentals. Craigslist is one of the most visited websites in the world and provides an ideal place to market homes and condo to the local market. Letgo is another classifieds website that I use to sell your Gulf Shores condo. What makes Letgo unique is that items are displayed to users based on their geo-location. Houses for Sale is a real estate search platform but the main difference here is that I pay extra to create separate pages for my client’s listing. This site is highly recognized on all search engines. Oodle is a national leader for online classifieds and supplies the classified search for local.com, express.com, lycos, and yell.com. 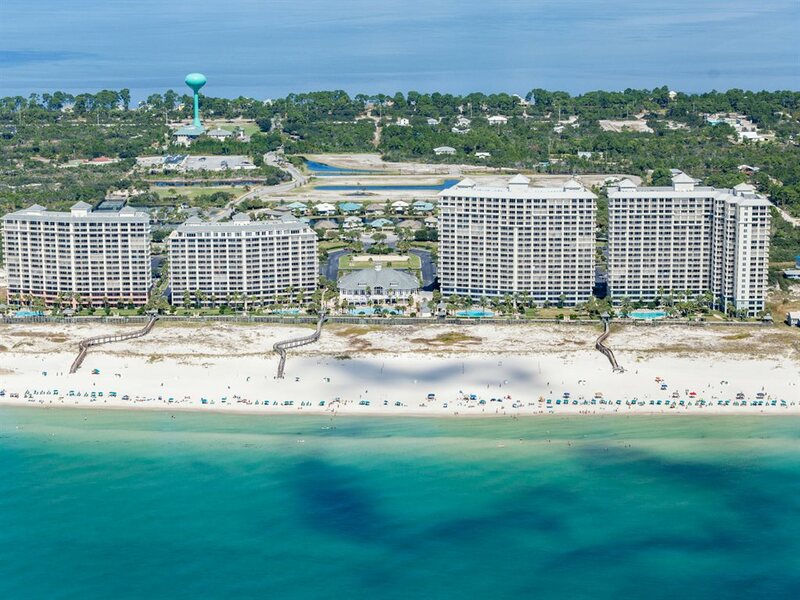 As you can see, along with working with you to come up with a property listing price, I will market your Gulf Shores condo everywhere. If you are thinking about selling, give me a call. Let’s talk more about your real estate needs.